Of Discs: 1 disc(s) Studio / Label: Epic UK Release Date: 28 Apr 2003. Suede : Singles CD (2003)Title: Singles Artist: Suede Genre: Rock/Pop|Indie/Alternative Duration: 78.20 mins Format: CD / Album Type: CD No. of Discs: 1 disc(s) Studio / Label: Sony UK Release Date: 20 Oct 2003. Of Discs: 2 disc(s) Studio / Label: Sony Music UK Release Date: 07 Apr 2003. Disc 1 9 Bat Out of Hell 11.10 mins. Disc 2 2 Bat Out Of Hell (Video Version) 8.07 mins. Disc 1 3 Heaven Can Wait 4.41 mins. Luther Vandross : The Essential Luther Vandross (CD)(2003)Title: The Essential Artist: Luther Vandross Genre: Rhythmn & Blues, Funk, Soul, Disco Duration: 145 mins Format: CD / Album Type: CD No. of Discs: 2 disc(s) Studio / Label: Epic UK Release Date: 15 Aug 2003. Artist Korn Title Take a Look in the Mirror: DVD Release Date 2003-11-24 Label: EMI Records Number of Discs 2. 2 1 DVD Content TBC. 1 13 When Will This End. 1 12 Yall Want A Single. 1 11 Im Done. 1 10 Lets Do This Now. Rare 2CD promo Manics album in great condition. Artist Gloria Estefan Title Unwrapped Release Date 2003-09-22 Label: EMI Records Number of Discs 1. 1 18 Mientras Tanto. 1 16 Te Amare (spanish). 1 15 Fotographia. 1 14 Famous. 1 12 I Wish You. 1 11 Say Goodbye. AC/DC - Fly on the Wall CD. Condition is Very Good. Dispatched with Royal Mail 2nd Class Letter. IT,S A LONG WAY TO THE TOP. LITTLE LOVER. CAN I SIT NEXT TO YOU GIRL. 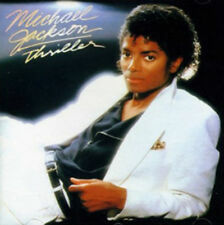 Michael Jackson - Blood on the Dance Floor (HIStory in the Mix, 2003). Condition is Very Good. Dispatched with Royal Mail 1st Class Large Letter. This cd is in very good condition with slight damage to the plastic case. This cd comes from my late husband's vast personal collection and is a must for any serious fan. Please check out my other auctions as there are plenty more to come and I will try to answer any questions about the CDs. I am a genuine seller and try my best to give an honest description of the item. CYNDI LAUPER. THE ESSENTIAL. Girl's Just Want To Have Fun. The Goonies 'R' Good Enough. 100% ORIGINAL PRODUCT. Hat Full Of Stars. Change Of Heart. Sisters Of Avalon. Sony Music UK 513604 2. Original 2003 release. EPC 510764 2. AC/DC - Highway To Hell - CD - 2003 Digipak remaster. All CD's go out in padded envelopes or cardboard boxes. 2003 Epic promotional sampler CD, SAMPCS134621. Condition CD is Mint. ALTERED IMAGES - DESTINY THE HITS (Greatest Hits / Best Of). CD, Compilation. 17 I Could Be Happy (12" Mix). 14 Change Of Heart 3:38. 16 Las Vegas Lullaby 3:56. 13 Love To Stay 3:24. 11 Forgotten 2:41. Earth Song. BU Y IT - PLAY IT - TREASURE IT ! Break Of Dawn. A RARE CD AT A GIVEAWAY PRICE - WHEN IT'S GONE IT'S GONE ! Rock With You. You Rock My World. FROM MY OWN PERSONNEL COLLECTION - VERY WELL LOOKED AFTER FROM NEW. The Essential Babyface. For The Cool In You. Well Alright (from the film Poetic Justice). This Is For The Lover In You (feat. LL Cool J, Howard Hewett, Jody Watley & Jeffrey Daniels). Whip Appeal. Digipak has a few small scuffs. But otherwise all in very good condition. It was issued in 2003 on the Epic Record Label with the catalogue number 510820 2. My Thing 4:10. Line Dancing With Monkeys 5:18. Seasons 3:48. JB's Blues 4:20. Pork-U-Pine 4:06. Audio CD (28 April 2003). My Last Breath. By Vonda Shepard. The CD has been tested & is in PERFECT WORKING ORDER . SIMPLY REQUEST AN INVOICE IF BUYING MORE THAN ONE ITEM. Disc & Inlay are present and in MINT condition - the original Case has remains of a sticker & general shelf / storage wear. ALLY MCBEAL. " SONGS FROM ALLY MCBEAL ". featuring VONDA SHEPARD. Disks have seen a little prior use and there are a few very minor markings on the playing surface. Manual is near mint with no marks or creases. Case is hairline cracked on the front door and has been lightly scuffed. Luther Vandross- The Essential (2003) - 2xCD. CD's, CASE AND BOOKLET ARE IN VERY GOOD CONDITION. 9 Shake A Leg 4:03. 10 Rock And Roll Ain't Noise Pollution 4:12. 4 Givin' The Dog A Bone 3:30. Angus Young - Lead Guitar. AC/DC "Back in Black CD (Remastered). 6 Back In Black 4:13. 3 What Do You Do For Money Honey 3:33. 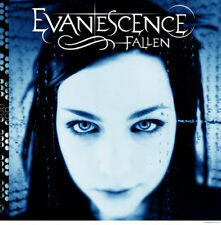 EVANESCENCE - FALLEN. My Immortal. GENUINE & ORIGINAL CD. My Last Breath. Just A Phase. Format: CD. Wish You Were Here. Blood On The Ground. Classic Artists. Rare Collectables. ARTIST: JENNIFER LOPEZ. I'm Glad (3:42). CD CONDITION INLAY CONDITION JEWEL CASE CONDITION The inlay is in near mint condition, the appearance of shelf wear is in the design. RELEASE DATE. JEAN-JAQUES GOLDMAN - 'Positif (2003 CD)'. Condition: CD = excellent. Sleeve = very good . Record Collector/Goldmine grading system used. Japan/Far East/Australia: £4.50. U.S.A/Canada: £4.50. UK - Free. Ton autre chemin.